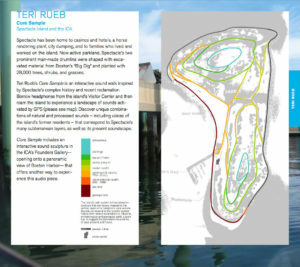 Core Sample is a GPS-based interactive sound walk and corresponding sound sculpture that evokes the material and cultural histories contained in and suggested by the landscape of Spectacle Island. 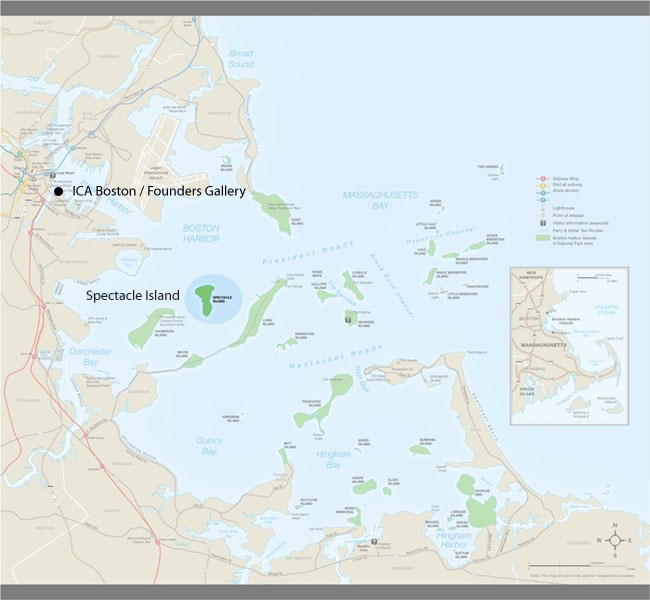 The piece engages the extended landscape of Boston Harbor as bound by the new Boston Institute of Contemporary Art building on the downtown waterfront, and Spectacle Island, a former dump and reclaimed landfill park visible just off the coast. 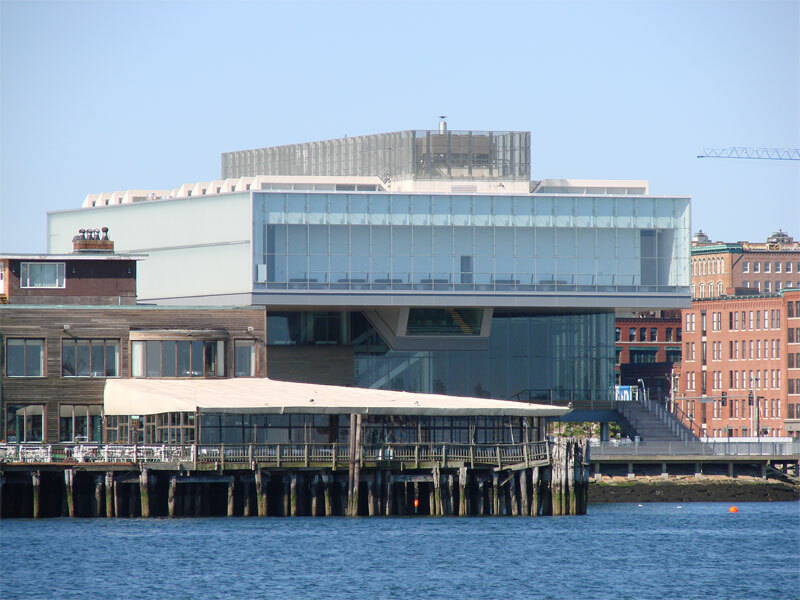 The two sites function dialogically, questioning what is seen versus what is not seen, what is preserved and recorded versus what is suppressed and denied. 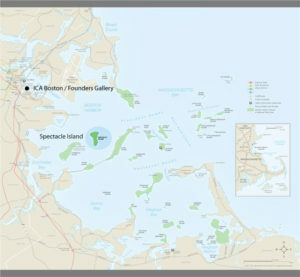 Visitors take the 15 minute journey to Spectacle Island via the Harbor Islands Express Ferry from Long Wharf and borrow headsets free of charge at the Spectacle Island Visitor Center. Sounds play back automatically in response to each visitor's unique itinerary. 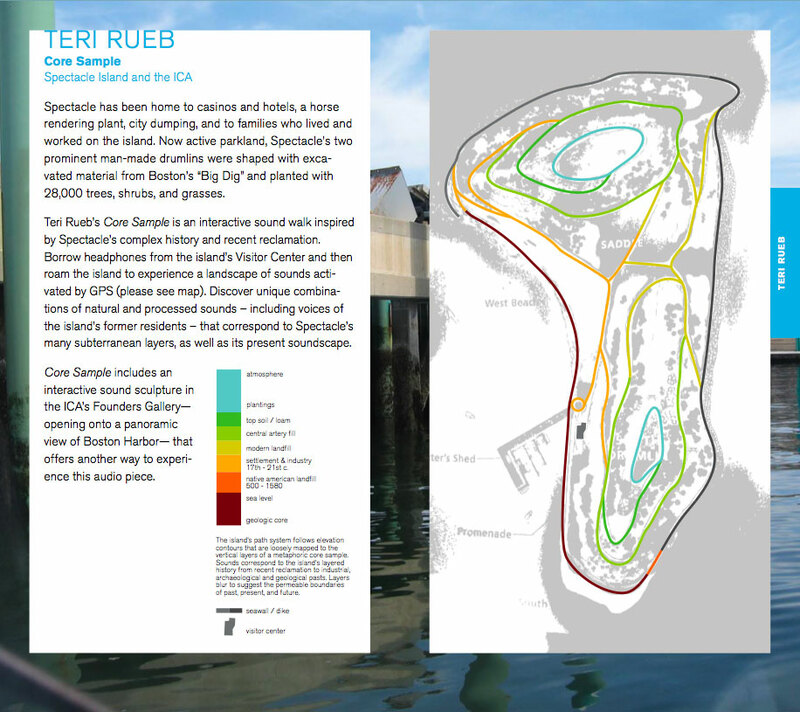 Thematic sound content shifts with the changing elevation contours of the path system suggesting the vertical layers of a metaphoric core sample (see map of installation). Abstract sounds and spoken word blur surface and core, natural and artificial, industrial and organic, past, present and future. 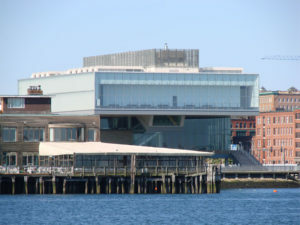 The installation has a corollary presence in the Founders Gallery at the Boston Institute of Contemporary Art where a ninety-nine foot sound sculpture appears as an architectural element installed along the length of the gallery which offers panoramic views of Boston Harbor. Special thanks to Kate Rivera, Ken & Jenny Hollingsworth, Niall Kirkwood and Peter del Tredici for interviews on the island. Additional thanks to all the many talented students at RISD | Digital + Media, especially Serena Kuo (video documentation) and Lucas Roy (postcard graphic design). And most of all, to Erik Conrad.